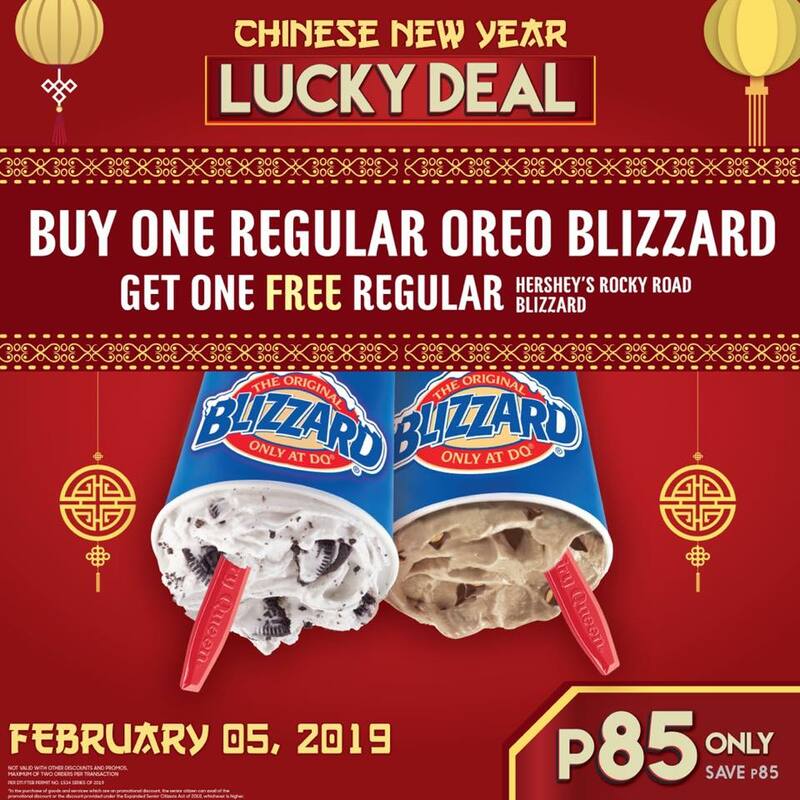 Sweeten up your festivities with creamery treats from Dairy Queen’s Buy One Get One Chinese New Year Deal 2019! Usher in the Lunar New Year with happiness, prosperity, longevity wishes and of course, some sweet indulgence. Discover the ultimate antidote for your sweet cravings with Dairy Queen’s Buy One Get One Chinese New Year Deal 2019. Take a detour at any Dairy Queen branches on February 5, 2019 and get twice the soft, sweet and delightful treat from the most iconic ice cream. 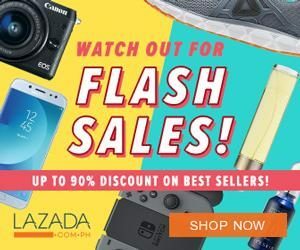 Enjoy big savings when order any One (1) Regular Oreo Blizzard for only Php85 and get the same size of Hershey’s Rocky Road Blizzard absolutely FREE! The offer is valid for one day only at any Dairy Queen branches nationwide- except DQ stores inside Araneta Coliseum and DQ Enchanted Kingdom. Cheers to a wonderful 2019! See you at Dairy Queen! 'chinese new year food deals' -Enjoy!